Astrology goes way deeper than just sun signs or posts about Pisces season. Astrologers look at where the Sun, the moon, and all the other planets from Mercury to Pluto are in order to predict upcoming changes. The closer planets like Mercury and Venus are the ones you hear about most, since they appear to move the fastest and have the most action. Because of how slow the outer planets move, their effects are reflected more as gradual changes in society, not specific events on certain days. 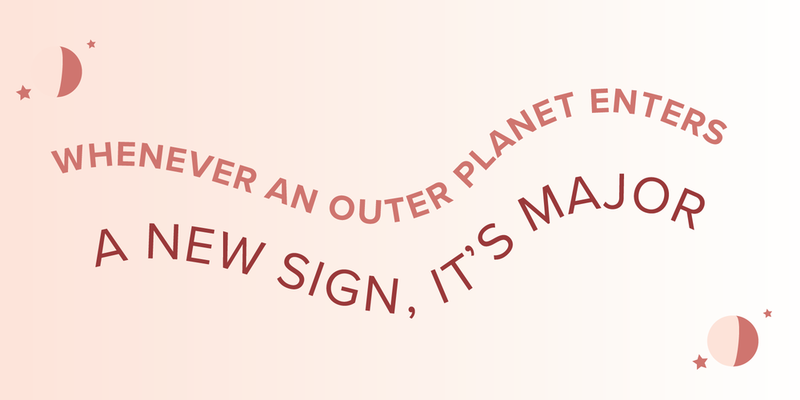 However, whenever an outer planet enters a new sign, it’s major. Uranus is one of these outer planets, and it rules over technology, surprises, and revolution! It takes around seven years to move through one sign, and has spent the past several years in hotheaded Aries, but that’s about to change. On March 6, rebellious Uranus flies into stubborn, practical Taurus, for the first time since 1942. This has serious implications for how we as a society approach money, businesses, health, art, and the environment, and over the next seven years you can expect serious changes in these areas. Uranus is the zodiac’s mover and shaker and exists for just one purpose: to turn heads and shock the world with unpredictable events and technological breakthroughs. Depending on the sign Uranus is sitting in, you can tell where societal changes and cultural attitudes will be shifting the most. In fiery Aries, one of the most ego-centric signs, Uranus wants to focus your attention on what it means to be an individual in today’s world. Causes like Black Lives Matter or the #MeToo movement are great examples: groups of individuals sharing common experiences joining together to share their unique stories and team up in order to change the world. Uranus loves to stir the pot and make a ton of noise, but ultimately has humanitarian intentions. It’s a total hippie, the perfect rebel with a cause, that wants to challenge your ideas about the world through big, in-your-face changes that you can’t ignore. While Uranus was in Aries, there was also the rise of social media. Your facebook page or instagram profile are essentially entire websites dedicated to pictures of you, stories about your life, and voicing your opinion. Aries is impulsive and doesn’t remain interested in a topic for long, which is apparent by the popularity of short Vines, 140-character tweets, and viral memes over the past few years, too. GoFundMe pages started by individuals in unique circumstances became huge as well. Individuals with brief sparks of inspiration were able to turn ideas and concepts that were never thought possible into a real-life invention—look at space tourism, hoverboards, and artificial intelligence; all things that a decade ago were thought only possible in science-fiction. With Uranus in Taurus, the sudden bursts of inspiration that characterized the past several years slow down to a halt. Taurus isn’t anything like Aries—it’s a slow moving, patient, practical, and stubborn sign—so people aren’t throwing as much time and money into new things anymore. Uranus in Taurus is taking the revolutionary new concepts and inventions from its time in Aries more seriously and developing those ideas with a pragmatic attitude. To look and see which areas of life are changing the most, look at the sign Uranus is in. Taurus rules over the earth, material possessions, art, beauty, music, and money, and Uranus promises to turn your ideas about these things upside down. The radical changes typical of Uranus are softened and less explosive in level-headed Taurus, but your assumptions around these areas of life are going to be seriously challenged over the next seven years. It’s hard to say exactly when and where these changes are happening, but by looking at Uranus’ last trip in Taurus you can get a better idea. From 1935-1941, Uranus in Taurus found the world in economic shambles and struggling through the second World War. Governments lead by dictators like Mussolini and Adolf Hitler rose to power. This doesn’t mean that World War 3 is on the way, though. Uranus in Taurus also really changed society’s views on money when FDR implemented the Banking Act and Social Security was written into law. Attitudes about the earth, money, and territory were certainly changed during this time period. What we have to look forward to is the potential for change. For one, the long-suffering economy is due for a re-vamp, and Uranus in Taurus might be just what we need to redistribute wealth and employ a better economic system. This is the time to make that change happen. More progressive attitudes about big banks, taxes, and student loans can help reduce financial struggles, and people will be earning and losing big when it comes to wealth. In addition to belongings and money, Taurus also rules over land and planet Earth. The slowly growing tension throughout the world surrounding borders and territorial lines are only going to build more and more until Uranus gets the cultural reform it needs. On a brighter note, people are going to be paying more attention to the environment and how we treat Mother Earth. More funding for protecting the environment may be implemented, as well as research for renewable sources of food that don’t involve ripping nature to shreds. The way the average person treats their body is in for a massive overhaul, too. Fast food, crash diets, cleanses, and pharmaceutical drugs are major sources of health problems in society, and you’ll see society take a more holistic and natural approach to their health and wellbeing. 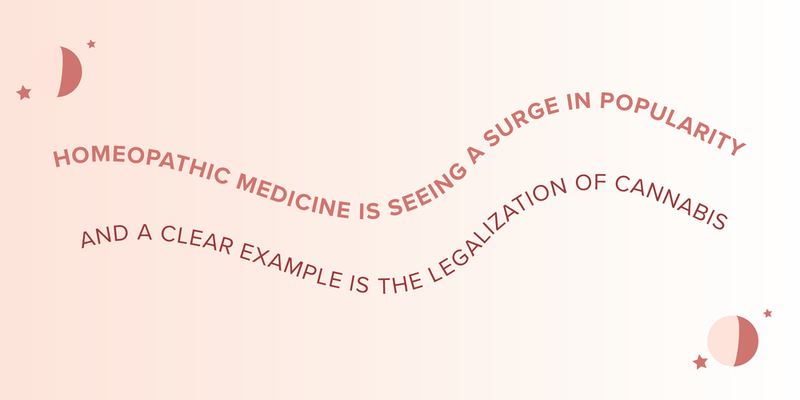 Homeopathic medicine is seeing a surge in popularity, and a clear example is the legalization of cannabis—a plant provided to us by the earth that has a wide variety of applications to treat sick people. Since Uranus rules technology as well, it’s safe to say that scientific developments will rapidly occur in these areas of life. Big changes in healthcare are being implemented with Uranus’ help, and the next seven years may show the reallocation of funds in order to make sure everyone has access to the healthcare they need. Taurus is a sign that relies heavily on its five senses and its immediate perception of the world. In addition to artificial limbs and bionic upgrades to our bodies altering how we interact with the world, the next few years can see big changes in VR tech. Cultural ideas of beauty are about to undergo a makeover, too. Pioneering models and new founders of companies that focus on inclusivity are paving the way for more diverse types of beauty to be featured and accepted in upcoming years, allowing trans people, POC, and plus-sized models to get the visibility they deserve. Overwhelmed? Don’t be—these humongous changes aren’t going to happen all at once. Uranus will be in Taurus until 2026, giving you plenty of time to observe the changes happening and adjust as needed. Sustainable food, more accessible healthcare, and taking a more natural approach to self-care are all reasons to be excited, and progressive Uranus in Taurus is certainly pushing this agenda. No matter how humanitarian Uranus’ reputation is, though, all of the social reform and radical changes it promises will be easy.